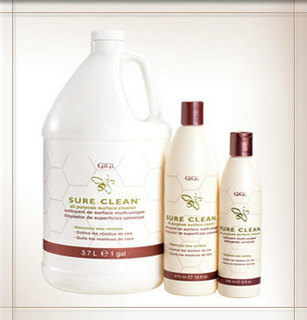 GiGi Sure Clean is the fast and effective way for cleansing and maintaining all GiGi Warmers, as well as most salon surfaces. This no rinse formula is truly an all-purpose cleaner. It is perfect for removing wax from carpets, floors, upholstery and clothing and is effective on chewing gum, grease, crayons, lipstick and more. Sure Clean is not for use on skin.